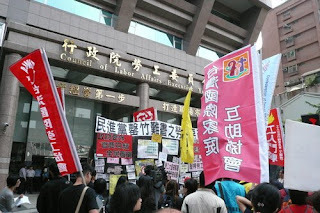 接著就到曼谷的台辦處辦理結婚文件驗證及申請赴台居留簽證,當時我媽媽也跟我們一起到台辦事處的9號櫃台簽名同意我和我老公在一起,可是就從這一天開始問題就開始一波還未平息一波又來侵襲, 第一次面談日期是在2007年的一月份哪一天我已經模糊了, 當時第一次面談的那位面談官就故意刁難不讓我們過關,當接到面談不過關的通知以後,我就立即到台辦事處9號櫃台問我們為何原因不過關,9號櫃台回答我說原因不對外公開, 於是第一面談就這樣不過關了,可是台辦事處規定要等45天次之後才能申請第二次面談,45天後,當老公接到同意申請再次面談時,我們又立即台辦事處的9號窗口預約第二次面談,第二面談是在2007年3月8號,這次台辦事處又說,因為我們沒有付我爸爸死亡時的墓碑照片,所以沒辦法讓我通過面談,於是我又打電話回緬甸叫我哥哥寄爸爸過世時的墓碑照片,因為緬甸交通不便,好像2個禮拜後我才拿到爸爸過世時的照片,收到照片後我就立即補交照片, 台辦事處又說 照片看不清楚死亡的日期,還是不能讓我通過面談,雖然墓碑的照片上看不清楚過世日期但可以看到墓碑上爸爸的名字,還有孝男孝女的名字,還有另外一張更可以看到我和我哥姐妹們穿著白色的孝服在爸爸墓碑前祭拜的情形,這樣也不行,真是百般刁難,無理要求.因為當時爸爸過世的時候,我們並不知道我們結婚的時候需要用到他過世時照片上的死亡日期,所以當時我沒並沒特意拍下,況且這個地球上有哪個國家規定結婚要交出爸爸過世的照片,結婚是件喜事,幹麻要提起傷心往事呢?最另我難過的是,我已經交了死亡證驗證過的文件,癌症死亡,死亡日期與時間都註在死亡證文件上了,這樣還不行,沒有爸爸的女兒結婚就不定要被官員這樣欺負嗎?我沒有爸爸參加自己的婚禮已經夠悲傷了!就不能同情一下我的感受嗎?更氣的是辦理赴台居留的流程10項裡並沒有這項需交死亡時照片的要求,台辦事處也沒有事先通知,讓我措手不及, 路程又遙遠 緬甸鄉下交通又不便, 而我住泰國的簽證有限, 在沒有辦法的情況下 於是我和我老公就寫了一封關於爸爸過世的切結保證書懇求9號櫃台交上去! 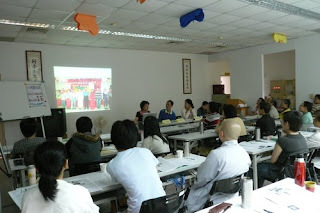 我搞不懂的是,台灣不是注重人權嗎?我們在駐泰國台辦事處受到如此的對待,這就是台灣所謂的人權嗎?就是只兩個人相愛辦理結婚手續而已,需要花上數個月的時間,還要被駐泰台辦處的官員把我們像犯人般對待,難道兩個相愛而結婚也有罪嗎?還好老天不負有心人,切結保證書交了以後我們就通過了! 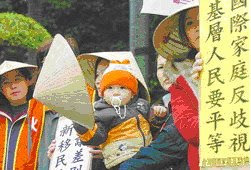 終於告一段落了. 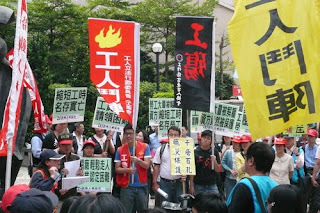 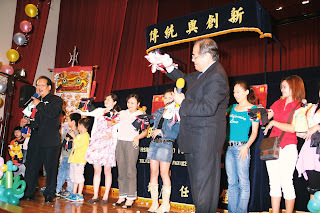 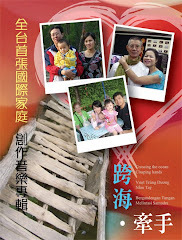 2007年3月底,我終於拿到台灣居留簽證了, 有誰會知道這張居留簽證的背後隱藏著我的多少的淚水.辛酸.無奈.無助! 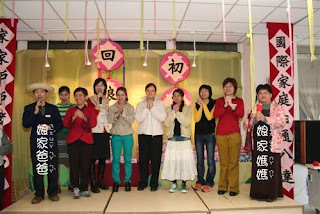 想不到兩個人因相愛而結婚, 竟然要花費數個月的時間與心力!老公為了跟我結婚,丟下自己的工廠,數月內台灣與泰國來來回回, 因此流失許多客戶,造成日後的損失,更是嚴重.這些點點滴滴是旁人無法了解的. 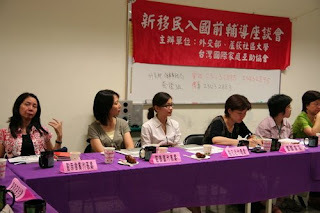 The China Post news staff TAIPEI, -- Most working women who have immigrated from Southeast Asia are plagued by five major plights, including job discrimination, having to work multiple jobs, no labor insurance, no overtime pay and low wages, according to findings of a survey conducted by the Taiwan International Family Association(TIFA). 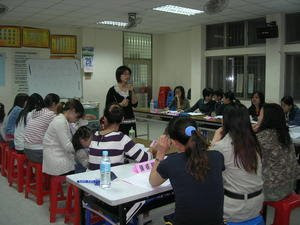 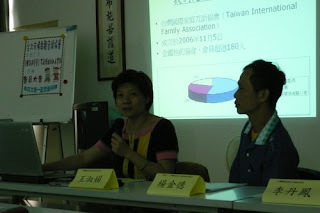 The TIFA conducted one-on-one interviews with 75 Southeast Asian women married to Taiwanese residents, between February and April. 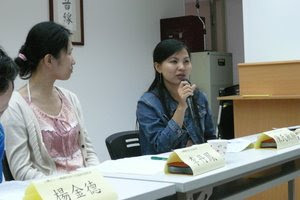 Although Southeast Asian spouses of Taiwanese citizens do not require a work permit, TIFA found that local employers often refuse to hire immigrant women as they lack a work permit or national ID card, or that they speak poor Chinese. 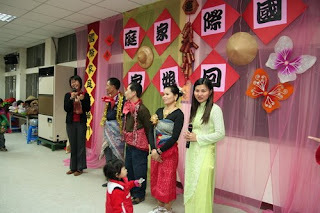 "We speak Chinese with an accent, but we deserve an opportunity to demonstrate our working ability," said Yeh Pei-chi, a Thai woman who married a Taiwanese citizen 13 years ago. 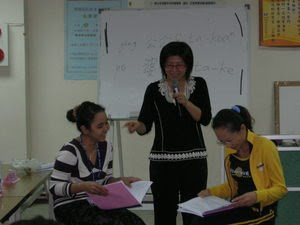 "If we are proven incapable, then don't hire us, but don't refuse to hire us simply because we are foreigners," Yeh said. 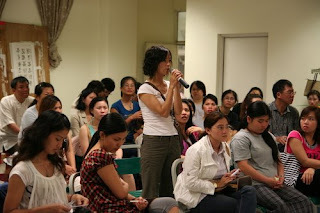 She recalled that she was once rejected by a factory employer who told her that "we don't hire foreign spouses," a common example of job discrimination experienced by many female immigrant workers in . 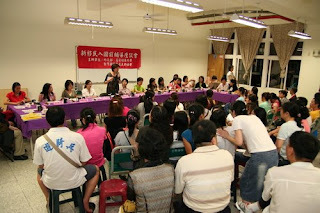 The TIFA also found that 72 percent of the women interviewed do not have the labor insurance to which they are entitled, while 68 percent work overtime without overtime pay, said Wang Shu-chuan, executive secretary of the association. 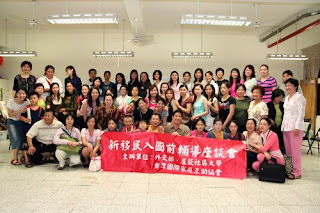 The association also observed that half of the immigrant women in the southern port city of Kaohsiung need to have multiple jobs to support their families, many of them working in restaurants or breakfast shops, she noted. 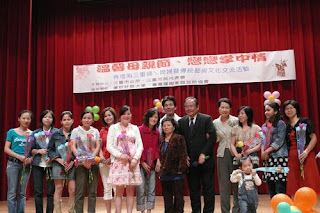 Wang called for greater attention to job discrimination and the predicaments faced by immigrant women in , saying hat the Council of Labor Affairs and local governments should raise the awareness of immigrants' working rights and related rules among local employers and immigrants. 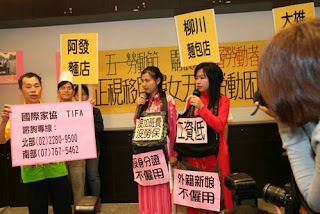 Chang Yu-hua, executive director of TIFA, described female immigrants in as "new low-level workers," as many of them work as restaurant staff, household maids, or small factory workers. 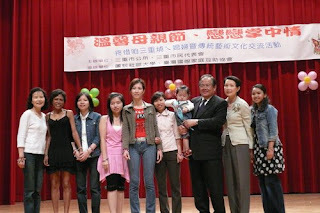 Immigrant women need to learn local languages and adapt to a new environment but do not have strong emotional support as they do not have many family members and friends in Taiwan, Chang added, urging the public to offer care and help. 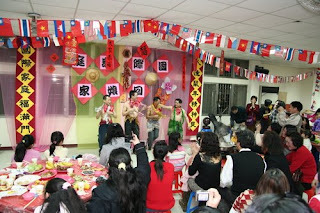 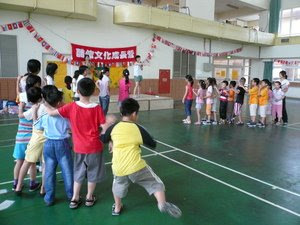 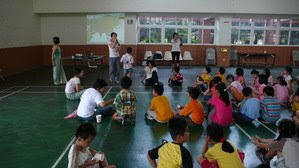 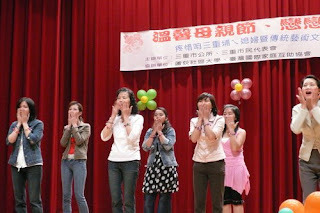 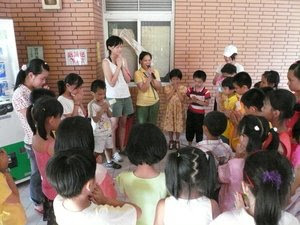 has more than 123,000 foreign spouses from , , , the and , as well as over 270,000 from , and South Korea.